The walk was organized by Jun-san Yasuda, an international activist and founder of the Grafton Peace Pagoda of the Nipponzan Myohoji Buddhist order. She was joined by several monks, nuns and other followers. Sheaffer said many of the protesters lived at Standing Rock reservation, the controversial site of the Dakota Access pipeline which would carry crude oil more than 1,000 miles through four states from North Dakota to Iowa. The Water Walk for Life was a walk in solidarity with those still at Standing Rock, he said. Earlier in the week, the group made its way north through Rockland County, where they stood against the proposed Pilgrim Pipeline that would make its way through the western part of the county. They spent two nights at Stony Point Center, which provided them with food and shelter. 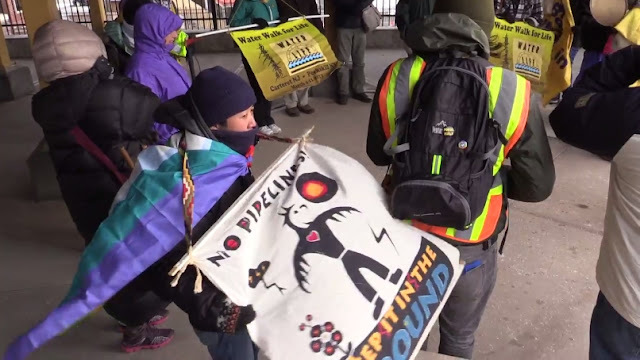 The group diverted from the walk on Friday to join thousands of peaceful protesters in Washington, D.C., for a Native American march against the Dakota Access pipeline in front of President Donald Trump's new hotel on Friday, he said. On Saturday, protesters waved bright yellow flags and banged on drums as they made their way to the gates of Indian Point Energy Center in Buchanan, where they held a vigil to commemorate the anniversary of the Fukushima nuclear disaster, a reactor meltdown that occurred six years ago at a Japanese plant. Sheaffer said Nipponzan Myohoji Buddhists "focus a lot on nuclear dismemberment and the banishment of nuclear power and nuclear weapons." 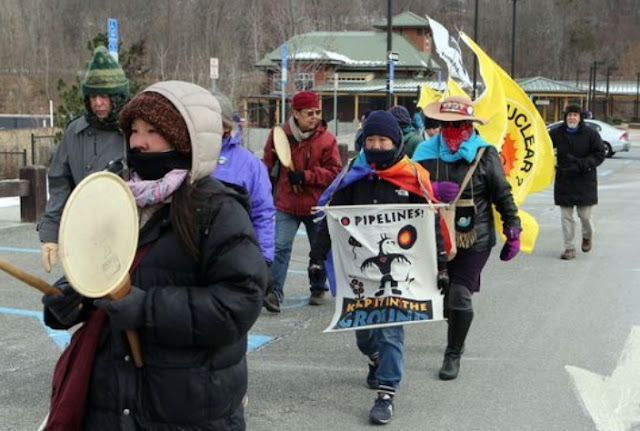 After the vigil, prayers for water were held at the Peekskill waterfront for the Algonquin Incremental Pipeline (AIM) Project, which touches parts of Westchester, Rockland and Putnam. Sheaffer said the next step is to get more people involved in their communities to keep means of energy safe and water clean. “In its essence, it’s about praying for peace to come to the planet," Sheaffer said. 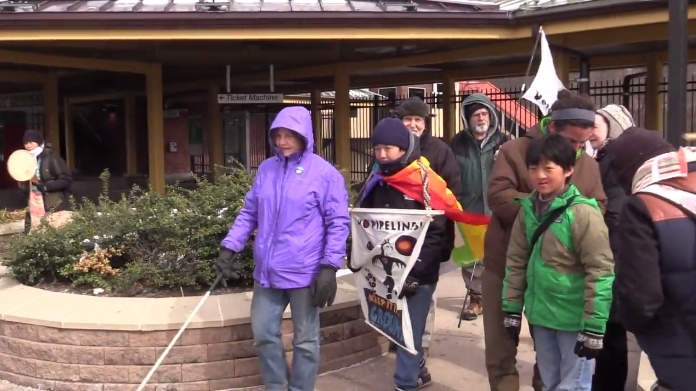 Responses to "Activists complete 8 day, 90 mile prayer walk for clean water"